Samsung may have gotten its Galaxy S9 out of the door recently but there are plenty of other flagship Android devices still on the horizon and one of those is the OnePlus 6. It’s likely still a couple of months away from being announced, but we are now starting to see leaks that suggest anyone hoping for a particularly affordable OnePlus flagship will likely be disappointed. OnePlus has continued its upward pricing trend over recent releases, with OnePlus One costing $299, OnePlus 2 $329, OnePlus 3 $399, OnePlus 3T $439, OnePlus 5 $479 and OnePlus 5T at $559. The OnePlus 6 looks set to continue in the same vein. 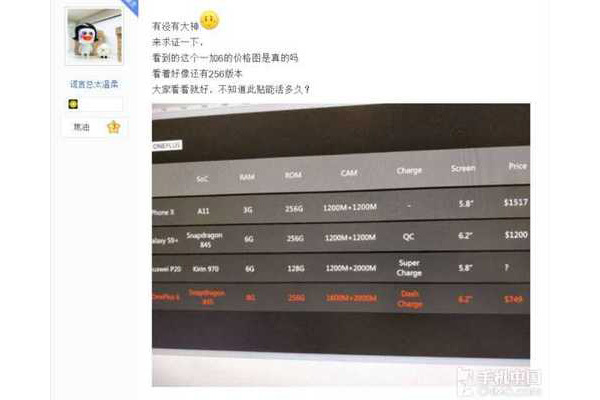 A recent leak that appeared on Chinese site Weibo appears to show the specifications, and importantly, the price of the unannounced device. 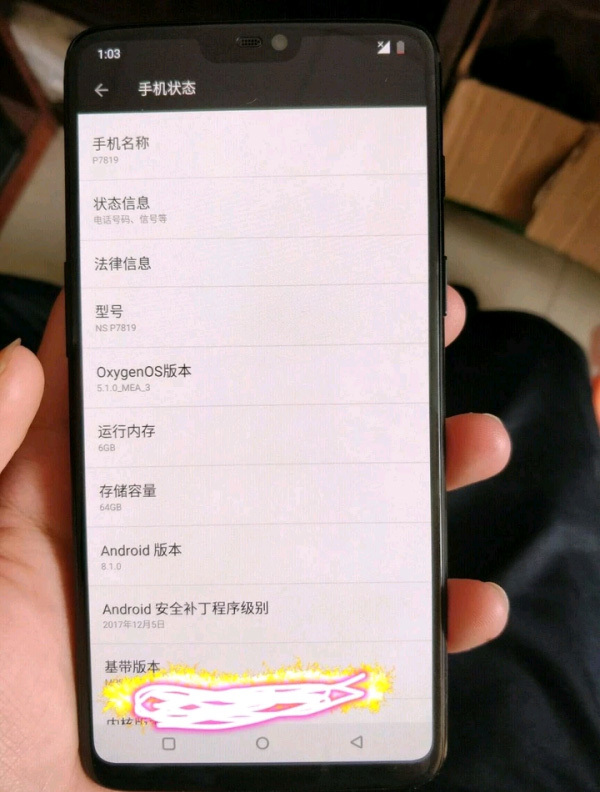 According to the person who leaked the information, the OnePlus 6 will ship with a 6.2-inch display featuring iPhone X-like notch, a Snapdragon 845 processor, and 8GB of memory. Storage will be taken care of by 256GB chips, perhaps part of the reason the price is set to be higher than many would like at around $749. That leaked $749 price point, if accurate, is quite the increase over the OnePlus 5T’s asking price of $559, although the source does suggest that this price is for that aforementioned 256GB option. Both 64GB and 128GB options are expected to be announced alongside the higher-priced model as well, suggesting those looking for a less expensive alternative may still have some wiggle room with which to plan their purchase. It’s unclear as of right now when OnePlus will officially take the wraps off of the OnePlus 6, but as previous leaks have shown, it does look increasingly likely that the device will sport small bezels and an iPhone X-like notch at the top of its display. Cosmetic Notches cost a premium price, what a value!